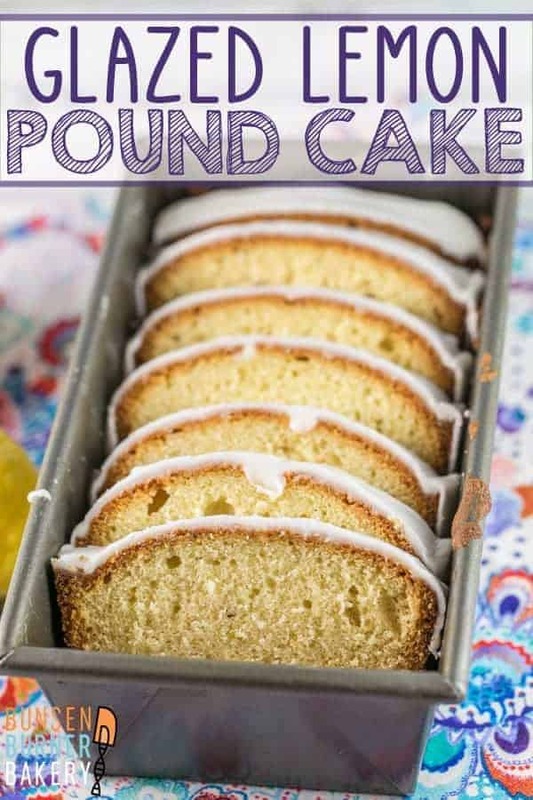 Think pound cake is boring? Think again with this moist, flavorful glazed lemon pound cake, packed full of fresh lemon flavor with a perfect pound cake texture. Easy enough for everyday; delicious enough for a celebration. Let’s be honest, here. Pound cake? Usually not something to write home about. It’s often dry, overbaked, and frankly, a little bland. 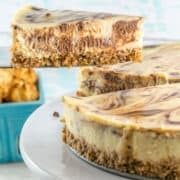 Realistically speaking, have you ever bitten into a slice of pound cake and thought “wow, that’s one of the best cakes I’ve ever had!”? Probably not. Unless you’ve had the pound cake from Stock’s Bakery in Philadelphia. Because that pound cake is quite possibly life changing. Earlier this summer, while home on maternity leave, my new baby had a medical appointment not too far from the famous Stock’s Bakery, so we popped in and brought home a loaf. And it was amazing. 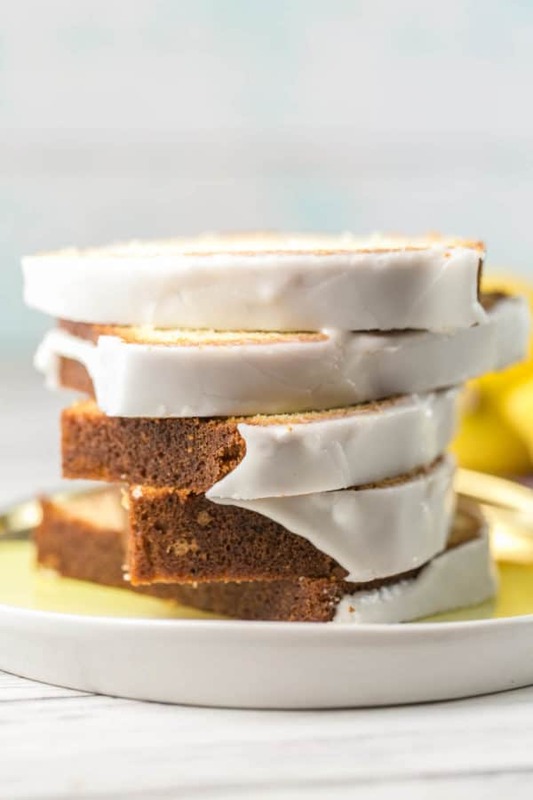 This glazed lemon pound cake is in no way meant to be a replicate of Stock’s pound cake, but eating a delicious pound cake inspired me to work on some really good homemade pound cake recipes. The secret to Stock’s, we’ve recently learned, is a whole lot of trans fats — the recipe includes a lot of shortening. I’ve been on a quest for a flavorful cake that isn’t dry and crumbly (and isn’t full of shortening, either). And friends, I think I’ve found it! But first, let’s talk a little about pound cake in general. Quite simply, pound cake earned its name because it used to be made with four pounds of ingredients. A pound of sugar, a pound of butter, a pound of flour, and a pound of eggs. While this ratio certainly works to bake a cake, it leaves a little to be desired… especially in terms of texture. The end result is pretty dense and heavy (much more so than what we expect from pound cake nowadays) and it really doesn’t have much flavor. Let’s take the initial “pound of each” recipe and tweak it a little. We want a cake that is still dense and solid, but not quite so brick-like. And also more moist and flavorful; the original is pretty bland and a little dry. What’s the best way to achieve this? I like to add a little leavening, some sour cream, an extra egg yolk, and increase the sugar/flour ratio a bit. Combined, this results in a pound cake that is more moist and flavorful, but still has that classic pound cake texture. First up, we’ll tackle the “too dense” problem of the initial pound cake. We can easily fix this by adding some leavening like baking soda or baking powder. Not too much — we don’t want a pound cake to turn into a light and fluffy cake — but just enough to give the cake a little bit of lift. Next, the flavor. 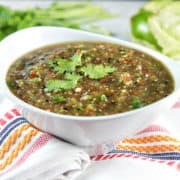 The best way I’ve found to achieve this is to add dairy – like buttermilk or sour cream. I like sour cream (it’s thick enough that the batter doesn’t get too thin) which both adds rich flavor and keeps the crumbs tender and moist. Why does this happen? It’s time for my favorite subject… kitchen chemistry! 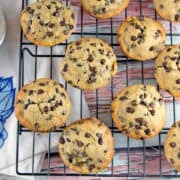 Adding sour cream to baked goods adds acid (and extra fat) to the batter. Acid in the batter effects the structure of the cake. The additional hydrogen ions from the acid break apart protein bonds, causing them to unravel. 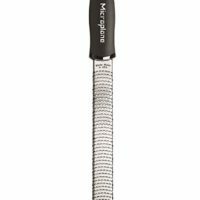 This tenderizes the gluten in the flour, and results in a more tender crumb. Now we know how to make a pound cake with A+ flavor and texture. But plain pound cake is so, well, plain. If you’ve followed Bunsen Burner Bakery for any length of time, you know lemon is my all-time favorite dessert flavor. So it probably comes as no shock that I’m kicking off my new pound cake obsession with one packed full of lemon goodness. One of the things I like the most about this glazed lemon pound cake is that it’s made with real lemon. Lemon juice, lemon zest. You can toss in a little lemon extract if you really want to bump up the lemon flavor, but it’s not necessary. Things you won’t find in here: lemon pudding mix, lemon jello mix, lemon cake mix. We’re all about real lemon flavor! And big, bold lemon flavor, too. There’s nothing worse than a bland lemon dessert – the kind where you’re not really even sure if it’s lemon or not. 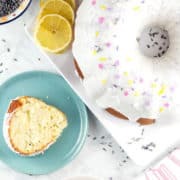 Nope, not this cake – we’ve got lots lemon zest and juice for a bright, sunshiney, citrusy punch. This glazed lemon bundt cake is the all-around perfect dessert. Sweet, but not too sweet. Dense without being overly so. Easy enough for a mid-afternoon snack; delicious enough for a dinner party. And always perfect for breakfast. Think pound cake is boring? Think again with this moist, flavorful glazed lemon pound cake, packed full of fresh lemon flavor with a perfect pound cake texture. Preheat oven to 350 °F. 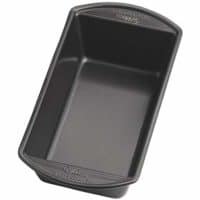 Grease and flour a 9x5-inch loaf pan. 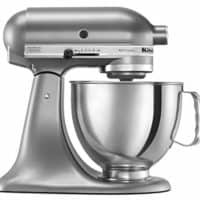 Using an electric mixer on medium speed, beat together the butter and sugar. Add the sour cream, mixing until fully combined. Add the eggs and egg yolk, mixing after adding each one. Slowly mix in the baking soda, flour, and salt, stirring just until no large patches of flour remain. 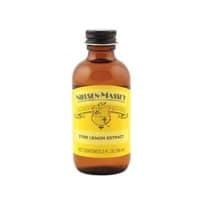 Mix in the vanilla extract, lemon extract (if using), lemon zest, and lemon juice. Scoop the mixture into the prepared loaf pan. Bake for 50 minutes to 1 hour, or until a tester inserted into the center of the cake comes out with a moist crumb (do not overbake). Cool in the loaf pan for 20 minutes, then turn out to a wire rack to cool completely. While cooling, make the glaze. 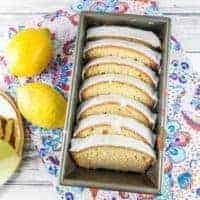 In a small bowl, mix together the confectioners sugar and 2 tablespoons of lemon juice, adding additional lemon juice if necessary to reach the desired consistency. Drizzle the glaze over the bread and allow it to solidify, about 30 minutes, before slicing and serving. 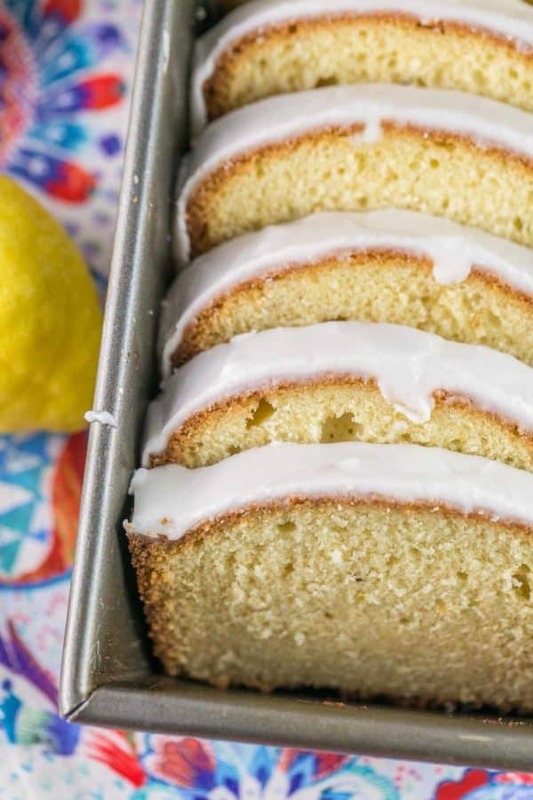 Glazed lemon pound cake can be made ahead of time and frozen. Wrap whole cake in plastic wrap followed by a layer of aluminum foil and store in the freezer for up to 3 months. Allow cake to thaw overnight before serving. Individual slices can be frozen on a sheet pan and transferred to a freezer bag once firm. “Life changing” pound cake?!?! Oh my! Sign me up! 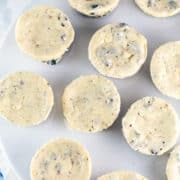 I absolutely loved how you walked through your recreation of the classic “four pounds” you’d find in a typical pound cake – genius substitutions with a great explanation! Love it! 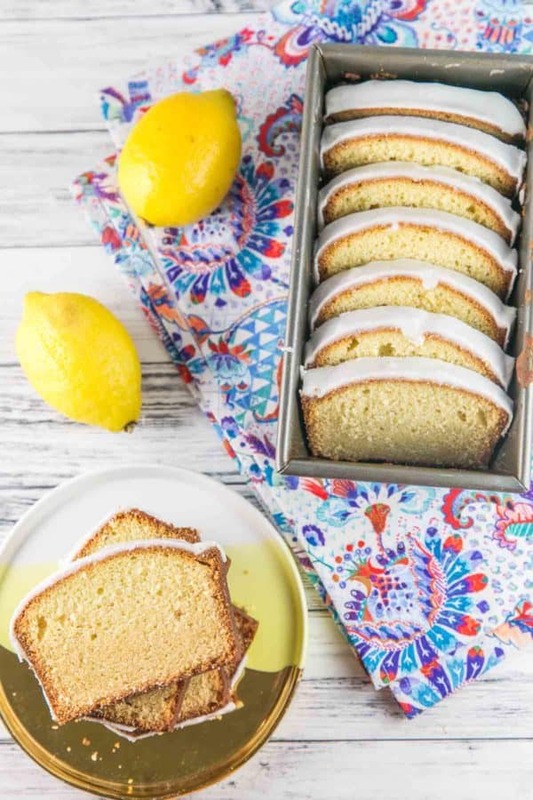 I am a big fan of adding lemon juice and zest to my baked goods and here, with that lemon glaze, you took pound cake to another level. And thanks for the kitchen chemistry class!! Wow I had no idea that was why a pound cake was called a pound cake. How interesting! 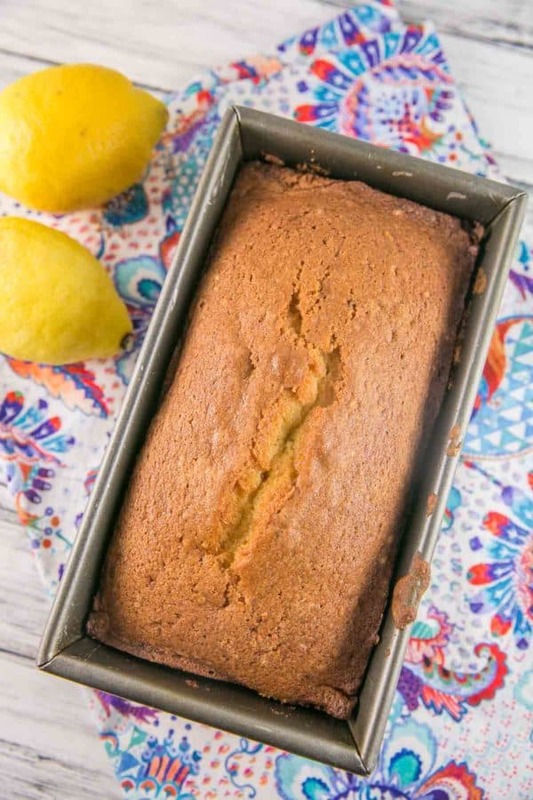 Lemon cake is one of my very favourites, and this one looks delicious. Can’t wait to give it a try! Lemon in cake desserts is my absolute favorite. It’s the perfect amount of acid to balance the sweet. Idk why I never make pound cake, I’ll have to whip this up to have with coffee it looks so good! Love lemon cake and this looks so delicious. 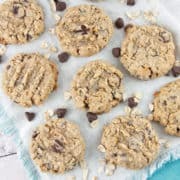 Your pics are amazing toom I will soon try your recipe. I love pound cake! 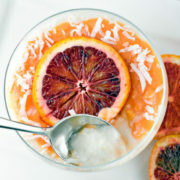 The addition of lemon to it makes this the perfect zesty treat. I always get the lemon loaf at Starbucks. I’m going to save some money and make this at home! Thanks! OMG Julie this looks amazing!!! 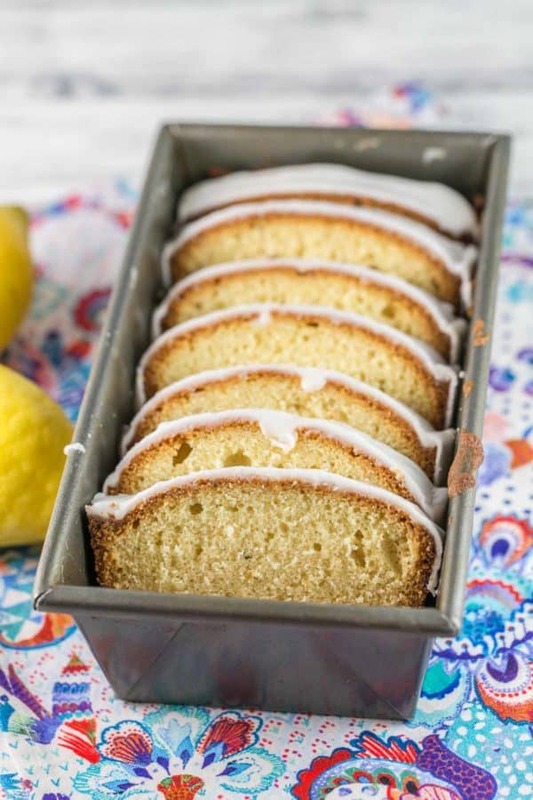 i have been looking for a lemon pound cake recipe with icing for ages, can’t wait to make this!!! Mmmm! Love lemon desserts. 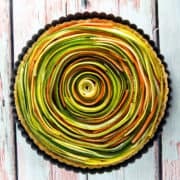 This reminds me of the lemon loaf cake that they serve at Starbucks. Looks so amazingly delish! Cannot wait to try this recipe for sure. 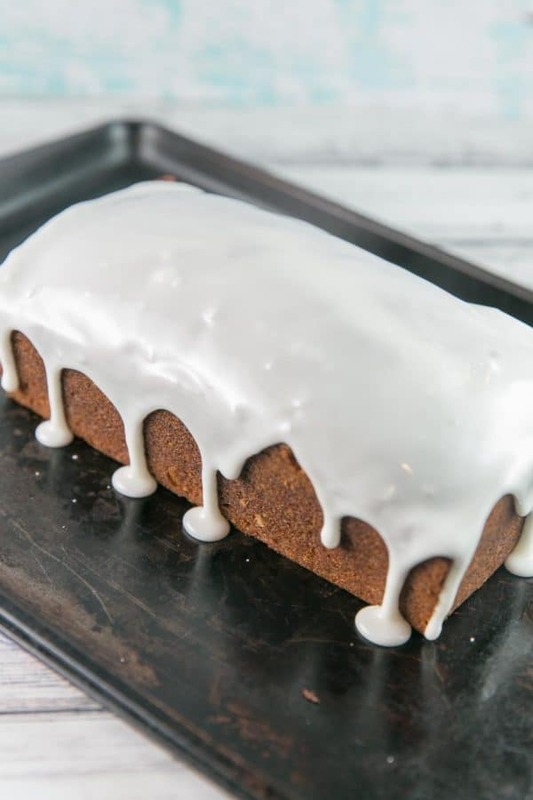 I love loaf lemon cake. This recipe seems so easy! This pound cake looks sooo good! I’m a huge lemon fan so this is my kind of dessert!